Social enterprise is a global phenomenon but, write Steven Moe, Parry Field Lawyers, and Wayne Tukiri, RSM (Tainui, Ngāti Whaawhaakia), New Zealand should be using Māori cultural practices to better understand what social enterprise is – and what it could be. 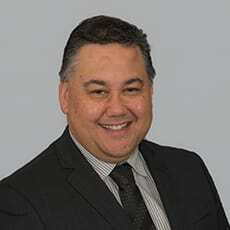 Wayne is an RSM Associate Director - Audit & People based in the Auckland Central office in Newmarket. Wayne specialises within the areas of Audit and HR, specifically Training, People, Development and Recruitment and holds significant experience and expertise in these areas. Steven Moe is a Senior Associate at Parry Field Lawyers and recently published the book “Social Enterprises in New Zealand: A Legal Handbook”. He also has a podcast Seeds: Talking Purpose where he interviews entrepreneurs and social enterprises about their journeys.